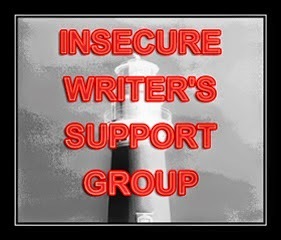 ILOWSG - Insecure Lack of Writing Support Group! complete my childminding course - which I passed! complete the fostering process - which was successful as Jeff and I are now approved foster carers! complete all the paperwork needed for Joshua and Benjamin to today receive written offers for soccer scholarships in the good old USofA!! Spent a week away training to be an Instructor for Paediatric First Aid, First Aid at Work and on AED's - and I passed!!! Managed to complete the A-Z although the last half a dozen posts were a bit of a get-out with everything else piling up! Oh and started a new full time job!! So I suppose I'm not insecure, as I have no writing to be insecure about! 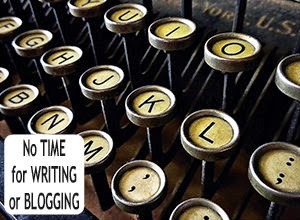 But I do have a huge amount of frustration in not having time to write - does that count? Congratulations on passing and being certified foster parents. And the new job. Sounds like you were very busy! Sometimes life has to come first and the writing has to wait. I hope you got a chance to get some sleep! Wow. Congrats on the new job! April was a busy but productive month for you! Congrats for you and your husband being approved for fostering! Hi Suzanne - you have been busy ... and so many congratulations on passing all those exams and helping the boys get themselves ready for soccer scholarships. That's brilliant becoming authorised foster carers - very caring and giving. Sounds like you've been busy with some very worthwhile projects. Wow! You accomplished a huge amount and with A-Z on top. Being approved as foster carers must be very exciting. That's a lot to accomplish and great things to accomplish. Wow, you've been doing a lot. Sometimes life gets in the way of writing. Give yourself a break. Good luck moving forward.